I am a postdoctoral researcher at the EA lab and synthesis group of the German Centre for Integrative Biodiversity Research (iDiv) in Leipzig, Germany. My primary research interest is the evolution of tropical biodiversity and the use of big data for biogeography and conservation. I integrate large-scale data sets of species distribution with molecular phylogenies and traits, to understand biodiversity over time and space, in particular of plants in the South American and African savannas. I am particularly interested in the evolution of the pineapple family (Bromeliaceae) and palms (Arecaceae). 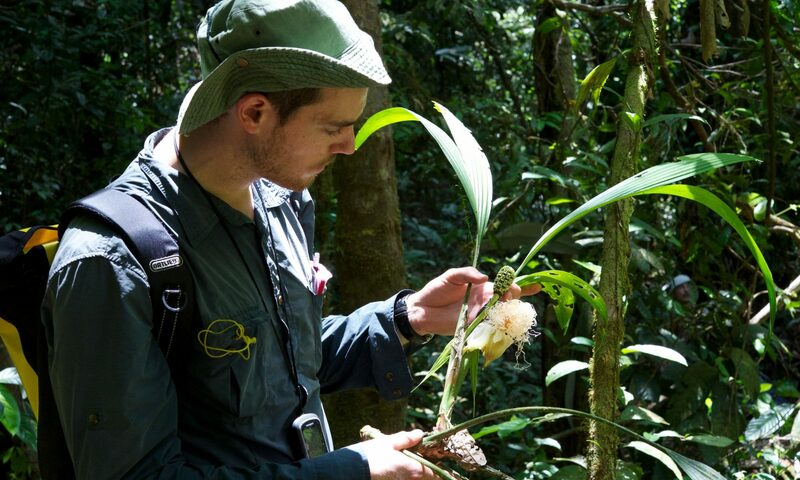 My research is mostly based on specimen and trait collection in the field and bioinformatics. In particular, I am involved with the development of methods/software to use next-generation molecular sequencing data and large numbers of species occurrence records in biogeography.